There is a trope that Big Pharma has an open door to push whatever drug they want onto the unwitting public, whenever they want, irrespective of any safety and effectiveness data. For those who actually work in Big Pharma, this causes more nervous laughter than any other trope, because they know how hard and complicated it is to actually do so. I’ve written previously that less than 10% of hyped pre-clinical data ever makes it through clinical trials so that it might be considered valuable evidence for clinical decisions. And less than 10% of drugs, such as cancer treatments, ever make it from the first step through the last step (often called pivotal studies) of clinical trials to gain regulatory approval (pdf). So if Big Pharma is lying to the public about the quality of their drugs (and by extension, vaccines), and then bribing the FDA to cover up these lies, they are laughably incompetent. I guess if they really were that inept, it’s a good thing. But now we come to a failed vaccine clinical trial – what does that tell us about vaccine development. 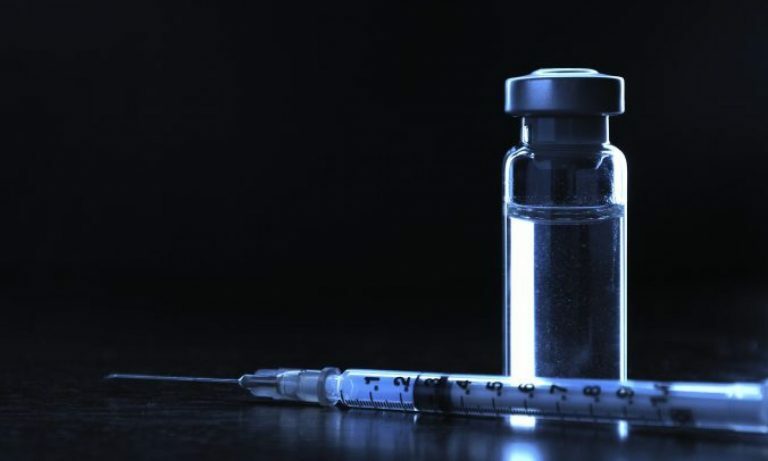 Drug developer Genocea Biosciences Inc announced that it was “suspending” the development of its GEN-004 vaccine against pneumococcus, a bacteria that causes some forms of pneumonia. The vaccine showed reductions in the rate and density of pneumococcal colonization during a Phase 2a trial (early phase 2 trials), but the endpoints failed to achieve statistical significance. The GEN-004 vaccines was shown to be safe and well tolerated by the subjects in the rather small randomized, double-blind, placebo-controlled study of 98 healthy adults, a size typical of an early phase 2 trial. The vaccine reduced the colonization rate by 22-25% versus placebo. The vaccine reduced the presence of pneumococcal DNA (a marker of infection) by 18-36%. Unfortunately, they were not statistically significant. A vaccine for Streptococcus pneumoniae, a type of bacteria that causes a number of infectious diseases including bronchitis, conjunctivitis and brain abscess, would be an important part of the armamentarium against infectious disease. Although there is currently a vaccine for streptococcus, the GEN-004 was a T-cell directed vaccine that could have better effectiveness against the bacteria. There are no approved vaccines that work by targeting T-cells, so this would have been an revolutionary development. The current vaccine prevents infections from 13 different serotypes of pneumococcus. The GEN-004 was designed to protect against more than 90 serotypes, making it nearly “universal” protection against pneumococcal disease. Moreover, this vaccine was developed to prevent pneumococcal colonization in the nasopharynx, a necessary first step to a pneumococcal infection. This could be an important vaccine, but for now, development is stalled. The World Health Organization estimates that up to 1.6 million people, including 800,000 children, die annually from infections caused by the bacteria. Preventing a large number of serotypes of pneumococcus could be one of the great medical developments, even in the world of vaccines, which are considered one of the two or three greatest medical developments ever. Genocea is a small company, so they made a strategic decision to suspend further development and focus on their lead drug, a treatment for genital herpes, one of the known causes of certain cancers. A larger company may have recruited more patients for a Phase 2b trial, and see if the statistical differences firm up with a larger patient population. I’m purely speculating here, I have no actual knowledge, but Genocea may license the vaccine to a larger company who might find the observations intriguing enough to pursue a larger study. The Society for Promotion of Vaccine Preventable Diseases (Liz Ditz’s ironic description of the anti-vaccine cult) probably thinks that Big Pharma snaps its fingers, and the FDA, WHO, CDC, and every physician in the world automatically genuflects to any proposed vaccines. But frequently, more often than the Society believes, there is a failed vaccine clinical trial. This protects humanity from “dangerous” (GEN-004 was not) or “ineffective” (GEN-004 may have been) vaccines. I hope that Genocea finds a way to continue the research on this vaccine. It seems to have a lot of promise, but I know that a small company has to make it’s strategic choices carefully. This vaccine trial did fail. But only barely, and the benefits to humanity may be so great that maybe it won’t be forgotten.